Ezugi Live Roulette is a very popular game and Live Roulette on of all casino games. Our live roulette games can absorb an infinite number of players at a time. Our lovely hosts amicably engage players, greeting them by name once they’ve logged in to play and will graciously congratulate them on their wins. The European version of the casino classic is played at a studio in Costa Rica and streamed live to your computers in real time courtesy of Ezugi’s premium live dealer software. Their Live Roulette houses a single zero wheel and 37 numbered bet sectors in total. Ezugi Live Roulette is able to accommodate an unlimited number of casino gamers at any time, meaning the days of waiting for a seat to become available are over. In addition to the standard Inside bets, the game offers a good selection of Outside wagers, with special Racetrack for placing popular Call bets easily accessible from the main window. Ezugi has taken a genuine casino classic and adapted it for live dealer experience, doing a great job out of it. 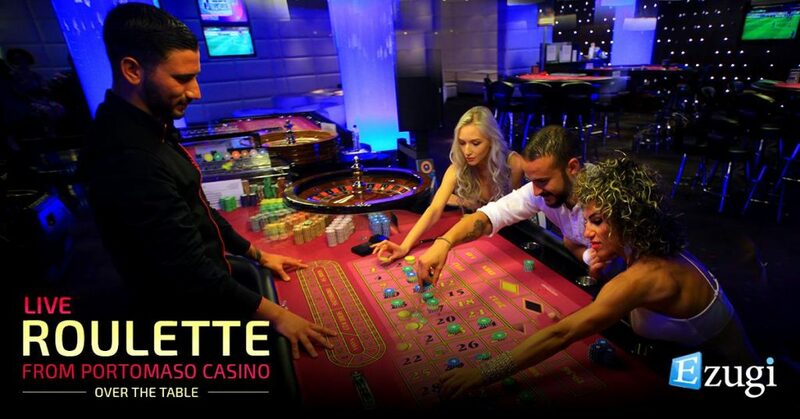 Live Roulette is obviously available in virtually every live casino out there, but this particular game introduces a plethora of useful features designed to engage the player into thrilling action at the tables. On top of that, casino gamers have access to a wide array of Inside, Outside and Call bets, allowing them to take full advantage of their Roulette strategy. Try Roulette at Slot Planet!